My Dad passed away 4 May 2010. So, this is my second Fatherless Father’s Day. It is strange not having a Dad to celebrate today. No gift to purchase, no card to sign. The first Father’s Day without him was very hard. It was only a couple of weeks after he died and the wound was still raw. My family got together for that day as we had a birthday to celebrate. We also celebrated my brothers who are Father’s as well. This year is different. I no longer dread those firsts because they have already happened. I’m still thinking about my Dad today but in a different way. It’s no longer painful each time I conjure him up. The healing has begun. I was thinking about my Dad’s first love–and it wasn’t his kids. Though, I’m fairly sure we were on the list somewhere under grandkids. No, my Dad’s first love was cars. My Dad’s love for all things on wheels can be attested to by this photo of him ca. 1930. My Dad was a hot rodder in his teens. He once told me he got 30 tickets in one month for speeding. He was on a first name basis with the officers who walked the beat near his home. He used to crack me up when he’d complain about someone screeching around the street corner. He had no room to talk! He and his brother, Gene, sponsored a racing car in the 1950s. They were known as “Lassalle Bros. Racing”. There are supposed to be a couple of NASCAR and/or NHRA pins laying around from those early years, but I am not sure where. My Dad told me once that back then it was much easier to get into racing. All you needed was the annual membership and then there was something like a $5 to get into the race. They raced all over the Bay Area even at the old track in San Leandro where Bayfair Mall now stands. He owned several cars over his lifetime. As a kid, I can remember him wheeling and dealing for different cars. He was always buying a friend’s clunker for $50. Some of them we kids would like to forget like the two we called the salamander and the snail. I’m not sure how he worked it but at one point he purchased a mail wagon. Yeah, just like the postal carriers drive. I don’t know where he got it. We loved it. We used to pretend it was a bus and took many imaginary trips to Disneyland in it. My Dad used it for more practical purposes. He had all his Little League gear and field tools in the back. He drove it back and forth across the street when he had practice or had to work the field. My Dad loved to tinker under the hood. You could always find him in the garage covered in greasy coveralls wearing a baseball hat with the bill cut off. He said the bills got in the way. Don’t ask me why he didn’t just turn the hat around. In the 1950s, his brother, Gene, was drafted. My Dad took over his Signal Gas Station. He loved working at the gas and service station. But, raising a family on my Dad’s meager earnings was impossible. After many dinners of eggs and toast, they ended up selling the gas station and my Dad went back to the bread line at Safeway. He mentioned before his death that he never wanted to be a bread man like his Father. He wanted to work on cars. But, he wanted the family life, too, and he had to make sacrifices. He wasn’t far from auto repair though. In the 1970s, he took a second job repairing the trucks at the roofing company that was next door to our house. I can still remember yelling for him to come for dinner (I had the loudest voice in the family). I think about those days now. It’s no wonder my Dad tended to be grumpy. He worked 40 hours a week at Safeway, volunteered several times a week at Little League from March until July, then worked Sundays at the roofing company fixing the trucks. I am glad that after retirement he had more free time and he was able to get involved in his grandchildren’s lives. My Dad and I lived together and I had the kids over regularly for sleep overs. Also, he was the chauffeur of his oldest grandkids. 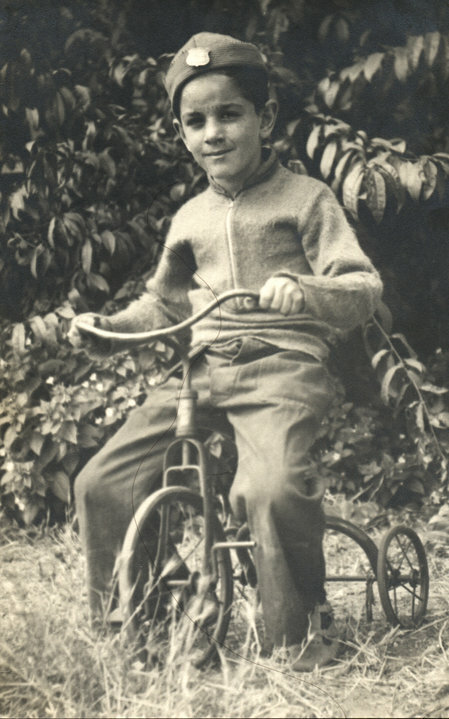 He carted them home from school and sometimes to soccer games and other school events. 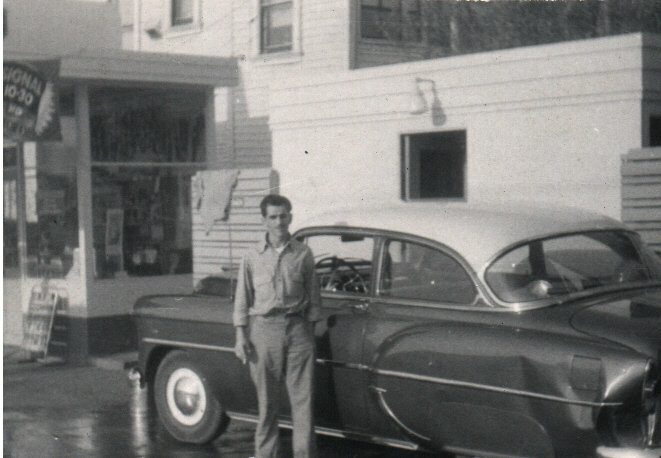 My Dad could name every car he ever owned…back to his first car in the 1940s. Each one held special memories for him, each represented a different time in his life. He had trouble remembering our names, but he never forgot a car. Happy Father’s Day, Dad! Hope you’re cruisin’ around wherever you are! 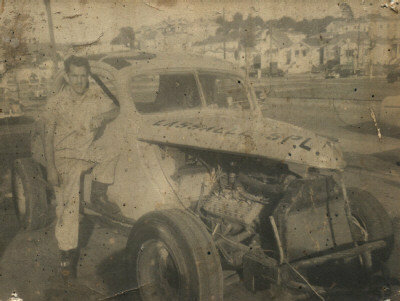 Our fathers would have known each other as my dad raced in the ’40’s and ’50’s as well. I grew up in San Leandro hearing about the stadium that was where Bayfair Mall was built. He raced as Johnny Soares. If you have any old programs from the day I’m sure you’ll find him there. He raced stock cars and midgets. I lost him in March of ’07, and mom in April of ’06. My Dad was so into cars. There is probably a good chance that they did know each other! I’ve been searching the Oakland Tribune to see if I could find any small notice of his racing team, but so far no luck. I have found little tidbits on my Mom’s cousin, George Pacheco, who also raced cars.